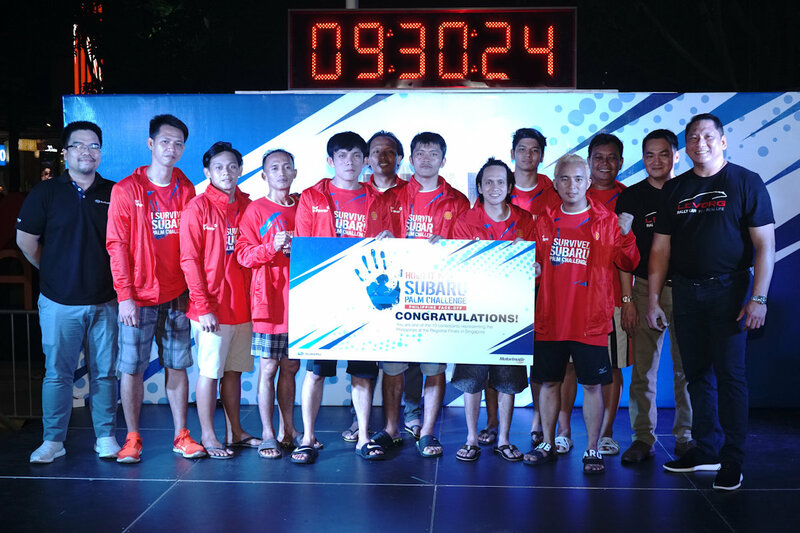 Motor Image Pilipinas, Inc., the exclusive distributor of Subaru vehicles in the Philippines, congratulates the individuals who successfully made it through the 2018 Subaru Palm Challenge: Philippine Face-Off last September 22. 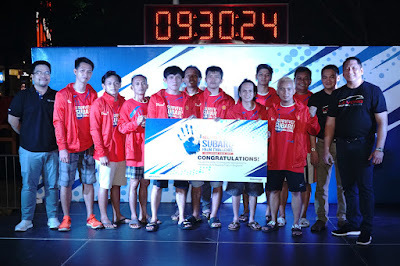 Out of almost one hundred aspirants, 10 strong competitors have emerged victorious and are now set to gear up to represent the Philippines in the Regional Finals in Singapore next month. The aspirants flagged off at 9 AM ready to outlast each other in this test of will and endurance. The challenge was to keep their hands on one of the 4 Subaru XVs with EyeSight, with no protection against the heat of the sun, or the discomfort of rain. After more than nine exhausting hours, the final 10 contestants were finally known. However, each of them still hung on, vying to be the ultimate Filipino winner and the local leg’s Last Man Standing. This year, a contest newbie, Rey Balintucas, emerged the winner. This 2018’s challenge also brought about some interesting twists. Juan Furiscal and Jaspher Galaura, both part of last year’s top ten, fell early in the competition. Rheden Pinoliad, last year’s runner up and Alex Neblasca, 2016 Regional Palm Challenge strongman also didn’t make it past through the local leg. Veterans Carlo Talahib, who was also last year’s Philippine team captain, and Filmark Bernante, last year’s Regional Palm Challenge country winner, rejoins the 2018 team, but it was Rey Balintucas and Juntie Flores, last year’s Philippine winner, who held on longest. Eventually, Flores’ bid for back to back wins was spoiled by Balintucas, who outlasted Flores by merely 3 seconds. The Philippine team is now complete and set to compete against other Asian countries in an even more difficult arena from October 26 to 31, 2018 in Singapore. Over the past years, the closest podium finish the Philippines reached was third place in 2016. Could a Filipino finally claim the crown at last and drive home his very own Subaru?